I can’t remember when I first heard the term digital nomad. But I got a strong whiff of the romanticized version in an article Is the ‘Digital Nomad’ Life as Good as It Sounds?. As something of a digital nomad myself, I’ve always thought becoming a digital nomad can transform your life, and in more ways than I can count. Despite the surface glitz, the article rightly points out that there are some downsides. It zeroed in on digital nomads living “the life” on the tropical paradise Indonesian island of Bali. Yes, they enjoyed many of the benefits of life in paradise. The tropical weather, the beaches, the palm trees and the colorful drinks, complete with little umbrellas. But at the end of the day, they still had to make a living. That of course translates into less time hanging out on the beach, and “smelling the roses”. 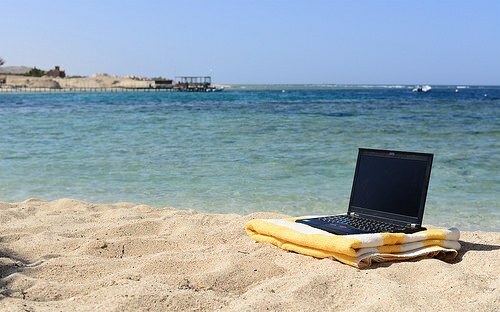 A digital nomad is something of a mix between remote worker and tourist. Most like the tourist side best. It’s the part that shows up in those exciting Facebook and Instagram posts. But the remote worker part is the critical element that drives the whole lifestyle. It’s also what keeps it from being as idyllic and carefree as it seems on the surface. Be that as it may, becoming a digital nomad has great potential to be life transforming. And I think most people can become one, even if you don’t think you can. My own less formal – and less transient – definition is a person who is able to earn a living without regard to geography. That goes beyond remotely based digital employees. It takes in anyone who earns a living on the Internet, and that’s a pretty big group. Basically, you’re able to work and earn a living from anywhere that has an Internet connection. That could be anywhere between your traditional home, and yes, an exotic location like Bali. And that alone is a major reason why becoming a digital nomad can transform your life. In the first paragraph I described myself as something of a digital nomad. As a blogger and freelance blog writer I make my living entirely on the web. That’s the digital part. But I like the permanence of a home base. Besides, I have a family, who earn their living in the bricks-and-mortar economy. The idea of bouncing from one place to another could work for me, but it won’t for them. That’s the nomad part I don’t fit into. I did have one “nomad moment”. Me and my family moved from Georgia to New Hampshire three and half years ago. None of us had jobs waiting when we got here. My online income was what enabled us to make the move. It’s a great option to have, even if you never use it. But the classic digital nomad is a young person with no significant family ties, and no desire to put down roots. He or she could be working in Bali today, but move to Budapest in six months, then onto the Bahamas a year from now. You can have a more grounded digital life like the one I lead, or you could go full on mobile, and move to a new paradise every few months, as the mood strikes you. That’s really the point – when you’re a digital nomad, you have that choice. Even though you still have to work for a living, life is much better when you can choose the place and terms. As the article mentions, the classic digital nomad is a corporate employee or contractor who works remotely (telecommuting). But that’s hardly the only option. Creating an online business or store. Freelancing – providing your services to businesses, website owners, and individuals via the web. Operating a business that can be run remotely – a friend of mine does this with a trash business, getting business online, then sub-contracting the work out to local providers. He’s able to operate in several remote cities using this strategy. Any of these variations will enable you to work online, work from home, and independent of geographic restrictions. Even if you don’t become a digital nomad, earning six-figures, and living in exotic locations that change every few months, it can still transform your life. It eliminates the daily two-way commute, saving you time, money, and stress. It can allow you to live without a car. That’s a perfect arrangement for a person who can’t drive, lives in an urban area, or simply doesn’t want the high expense of owning a car. Provide an income supplement for retirees, who are unable or unwilling to hold traditional jobs. It’s a serious income opportunity if you live in an area where there are few jobs. Think rural areas and remote communities. Use it to gradually transition into self-employment. It can be done on a part-time basis (and often is), and work as an income supplement. It’s the preferred modern way to launch just about any business venture. It can be used to expand the market area of an existing business. To create sustainable work, the kind that can continue through different life stages and economic conditions. Think of the digital nomad concept in the broadest terms, and don’t get hung up on the TV version. I was able to jump into this with no credentials or previous experience, so it’s possible even for the complete novice. This is another major advantage of becoming a digital nomad. It’s not an either/or situation, which means you don’t have to quit your job to do it. Since it’s a combination of self-employment and creativity, it can fit easily into most lifestyles. You don’t have to bounce from one place in the world to another, you can do it from exactly where you are. I’ve only lived in two places since going digital, and that suits me fine. But it’s comforting to know that once you become a digital nomad, geography is no longer an issue. That’s important. Part of the reason so many obsess on retirement is because they’d like to live someplace else. But if you get a successful digital occupation going, you don’t have to wait until you retire to do it. You can make the move anytime you like. It might even enable you to take a portable metropolitan-level income, and move to a small remote community, where the cost of living is much lower. You also don’t need to make it a full-time venture. It works perfectly as a side business, not the least of which because it can be done from home, and in your spare time. You can combine it with a full-time job, or you can have a part-time digital business, in combination with a part-time job. It’s likely most digital entrepreneurs do it as a side business only. I juggled accounting work with blogging and writing for all of six years before it became my full-time occupation. Even though I don’t do the rotating-relocation-to-exotic-locations thing that’s the TV version of a digital nomad, I strongly endorse the work style. At least the digital part. 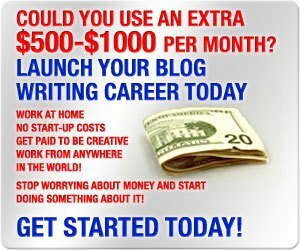 It can be an excellent way to build a new career, create a supplemental income, or even spread your creative wings. In a world of increasingly limited career advancement, it opens up a whole new world of options. In a real way, it gives you much greater control over your career. That includes the ability to promote yourself. Those are the benefits I wouldn’t trade for any 9-to-5 job. The biggest problem with developing a digital career is the misconception that you need some sort of technical background to do it. I certainly didn’t have it, but here I am. I suspect that describes more people in digital occupations than we normally think. Just about any occupational idea can be converted to digital. It’s just the way business works in the 21st century. Taken that way, going digital is probably more about self-employment than it is about technology. The technology – the Internet – is mostly just the medium. You have skills you can offer to businesses or individuals (accounting, marketing, web design, writing, editing, customer service, and administrative). Virtual assistants are a growing occupational category. Many contract-type assignments can often be handled digitally. You want to sell a product online. It can be one you’ve created, like an actual product, an e-book, or an online course. You can provide online tutoring or instruction. Flipping stuff for profits. I did this for a while after reading The Garage Sale Millionaire, and it really works. It’s a perfect income if you have an eye for a bargain. Create an online store. Read this story about a woman who earns over $100,000 per year selling wedding linens. People are doing this, and so can you. These are just some more common ways to create a digital income. Search the web, and you’ll come up with many, many more ideas. More occupations and businesses are going digital all the time. It’s likely this will become even more common going forward. We’re all dealing with a relentlessly rising cost of living, but what we don’t appreciate is that businesses face the same pressure. One of the best ways for them to cut expenses is to offload staff and real estate, in favor of independent digital workers and services. That presents an opportunity to step in and fill those niches. Willingness to take a chance. Willingness to acquire whatever skills necessary. Relentlessness – the willingness to do whatever it takes to make it work. The last quality is the most important. If you think of creating a digital income as some sort of fun hobby, you’ll probably fail. But if you approach it as a skill you need to master in order to survive, you’ve got a much better chance of succeeding. There was a fourth quality in my case: desperation. I was at a point where no one was willing to give me a job, so I had to create my own. I hope you’re not in a situation like that. You probably have the skills and creativity to develop some sort of digital income. It might enable you to become a digital nomad – living wherever you want, whenever you want. Or if you’re a homebody like me, it might mostly be a way to break out of the corporate straight jacket. Hi Bev – Unfortunately, there are a lot of young people who have grown up with the internet, but they’re only using it as a toy. That’s tragic because many, despite their internet “fluency”, are also having trouble getting a solid career off the ground. They’re looking for traditional jobs, with living wages and full benefits, the kind they were promised they’d get, but are so hard to find even with the much touted 3.8% unemployment rate (May 2018). I think the most important step is to not be afraid of the web. If nothing else, try buying some stuff at garage sales or thrift stores, then sell it on Craigslist, eBay or Amazon. Sell local Vermont stuff to the rest of the country, it’s practically a brand name. To me, once I got bit by the internet money bug, I just kept going. My first monthly income on the web was $4.98 in September of 2009. I told my wife we could buy a Happy Meal. She wasn’t amused. But I saw the potential that if I could make $5, I could make $50, then $100, then $1,000 and so on. My wife’s a believer now! But I’m sure my neighbors are convinced I’m retired or doing something illegal. It’s amazing how many people still don’t consider earning money online to be legitimate. But that’s OK, I’ve always been comfortable being an oddball.